I observed the delivery of an Active Start course today. There were about 23 OSA learning facilitators standing at the back of the room while the course was going on. 23 adults in blue golf shirts like young doctors sitting in a surgery theatre. The course went very well, considering it was the first time this new format is being delivered. The LF today was Bobby Lennox, a seasoned OSA coach. Next week I co-facilitate the same course in Woodbridge, then I am done my training. Watching the 20 coaches taking the course threw me back to 1989 when I took my first course. I am a geek for this kind of stuff and I still found it very interesting today. Last night we had our second U13 tryout of January. The facility we were in has no boards and better turf than Tuesday, and costs a lot more. To give the boys a chance to play we decreased the actual ball work or "drills" to 15 minutes. 10 minutes before the session we already organized the boys in pinnies ready to go. Compared to outside, you have to stay more organized indoor because the clock is your master. We repeated a zig-zag passing drill from Tuesday. I believe in doing a drill at least twice to give the boys a chance to shine at it. Not everybody gets everything the first time. And, with 32 kids out, if you have too many drills, but the time you get each organized and the boys ready, too much time has passed. After doing the zig-zag passing we ran a simple exercise with one player running with the ball, the other starting from behind him, 15 yds to his side, then running past him. When the player with the ball reaches half he sends a ball forward for the other player. One thing I want to fix is getting the players forward when a teammate the has the ball. Too often they run with or behind their teammate with the ball. That works great in rugby, but we're not playing rugby. During the game portion of he night (45 minutes) players were getting forward and looking for penetrating passes. And players were looking to move the ball forward while running. Mission partially accomplished. The boys have now had 2 sessions to shake their winter rust off. Next Tuesday we will spend more time on technical work and Thursday we will spend more time playing. After Thursday we shrink the list down. Tonight we started up again. It was nice to see all the boys from both teams last year and the new boys looking for spots. We had 30 players and only had the indoor field for 60 minutes so we kept things running so we could get into a game quickly. Our session was simple ... we did passing while running over 2 different drills then got into a game. We wanted the boys to get back into soccer mode and a game would keep their attention. The coaches didn't pay much attention to each individual player as we just wanted them to enjoy themselves tonight... but that's not to say we didn't notice some good things from some of the boys. Thursday we will be indoor at the Niagara Falls Sportplex. That field has no boards and the turf is better. We also have the Niagara College gym booked Mondays and they have proper indoor goals. Thursday we will give them another 15-20 minutes of active ball work again and get them into a game. once we shrink the group down we can get more into teaching. The good thing is that many of them are registered in the U14 house league that runs on Wednesdays. Looking forward to watching the next few weeks unfold. 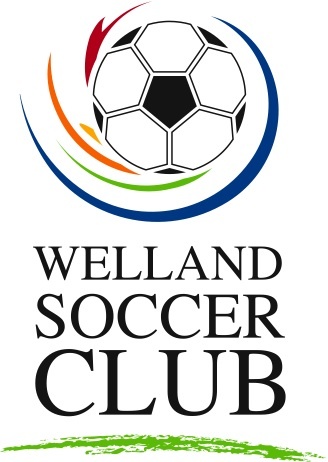 This Saturday and the subsequent Saturday I will observe and co-deliver coaching courses for Ontario Soccer. After that I will be done my training and be able to deliver courses on my own. Right now I am assigned to delivered the "Active Start" program and will work up from there. I am looking forward to delivering a course for the first time. I am not nervous to do it, I just want to get the apprenticeship portion behind me. Taking the online course "Making Ethical Decisions" is part of the process. We are getting emails from parents worried about their son missing tryouts because of their winter sports. They have all been told that the current season sport comes first. And we expect the same from their other coaches when soccer season is in progress. Here is my thing... if your son's upcoming coach tries to force you to miss your current season commitment, you need to find a new coach. Parents should never be afraid to declare that their son has a commitment in progress. NEVER. When the time comes to make a decision and decide on a sport, you will know.